The inaugural SGF Orchid Show will showcase a wonderland of orchid displays, with varieties of award-winning and heritage orchids. 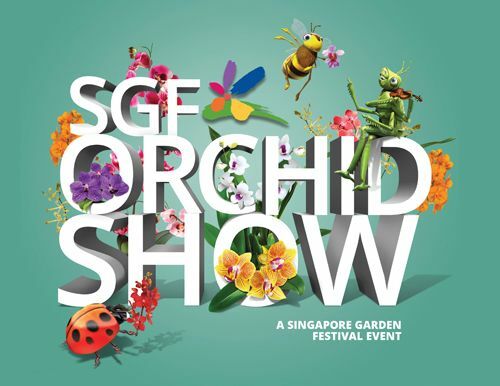 An offshoot of the flagship Singapore Garden Festival, the SGF Orchid Show is a partnership between National Parks Board (NParks) and the Orchid Society of South East Asia (OSSEA), which will prime Singapore to play its role as host for the Asia Pacific Orchid Conference in 2022. With orchids closely linked to the national identity, the SGF Orchid Show brings to the audience an opportunity to spur more appreciation for orchids and greening. The show also coincides with the 125th anniversary of Singapore’s national flower the Vanda Miss Joaquim which adds significance to the event. Key highlights include competitive landscape displays at Orchid Plaza (next to the entrance of the National Orchid Garden), created by local and international orchid growers. There will also be displays at the National Orchid Garden, designed by NParks, OSSEA and Singapore Orchid Growers Association. An educational exhibition at Burkill Hall chronicling Singapore’s history and achievements as a centre of orchid breeding will give visitors insights into the industry that began in the 1930s. Visitors can look forward to talks, demonstrations and guided tours as well as a marketplace featuring a myriad of plant, gardening, and landscape-related products.